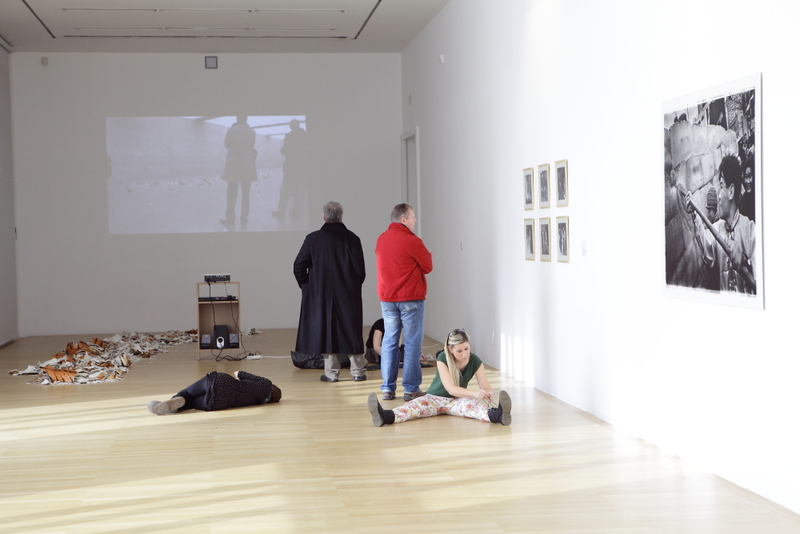 Tania Bruguera, Tatlin’s Whisper #5, 2008/2011. The Cankarjev dom Culture and Congress Centre, Ljubljana, 16 November 2011. Sal Randolph, 5 Euros Near Something Blue. Money action at the Central Market in Ljubljana, 15 November 2011. 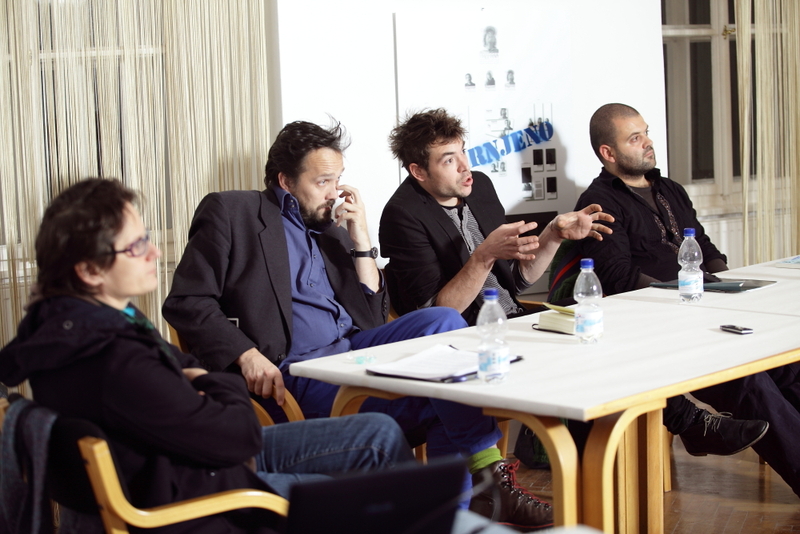 Mark Požlep, Matej Andraž Vogrinčič, and Mladen Stropnik in discussion with Beti Žerovc, curator of the 29th Biennial of Graphic Arts. International Centre of Graphic Arts, Ljubljana, 10 November 2011. From left: Matej Andraž Vogrinčič, Mark Požlep, and Mladen Stropnik. 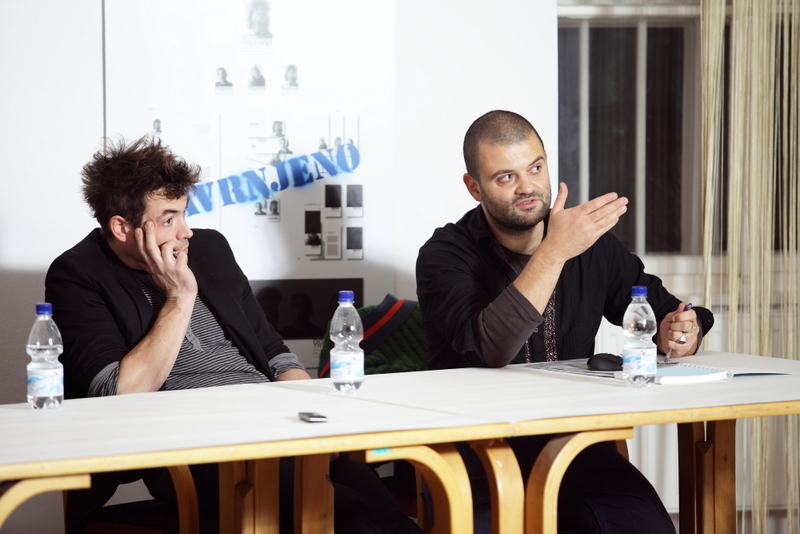 From left: Mark Požlep and Mladen Stropnik. 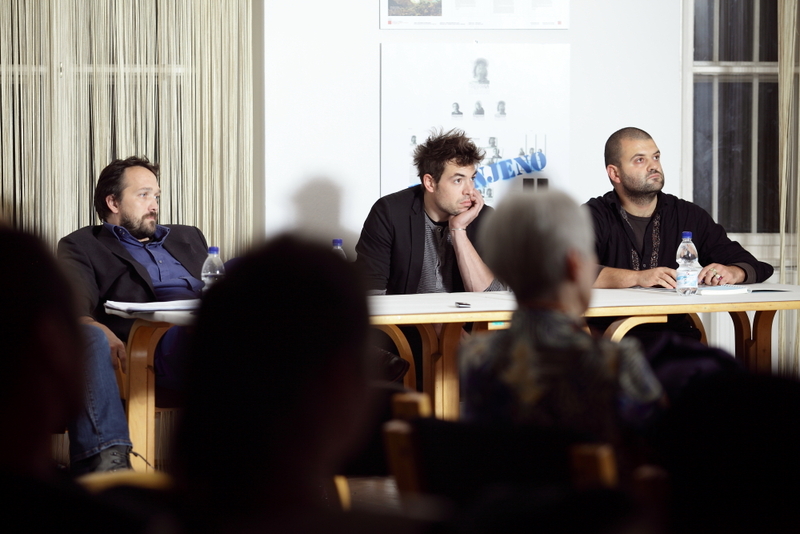 From left: Beti Žerovc, Matej Andraž Vogrinčič, Mark Požlep, and Mladen Stropnik. Beti Žerovc and Matej Andraž Vogrinčič. 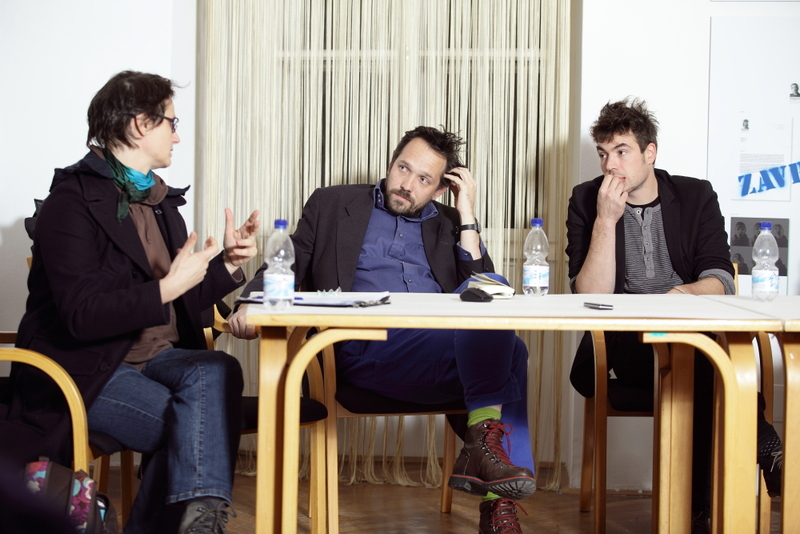 From left: Beti Žerovc, Matej Andraž Vogrinčič, and Mark Požlep. 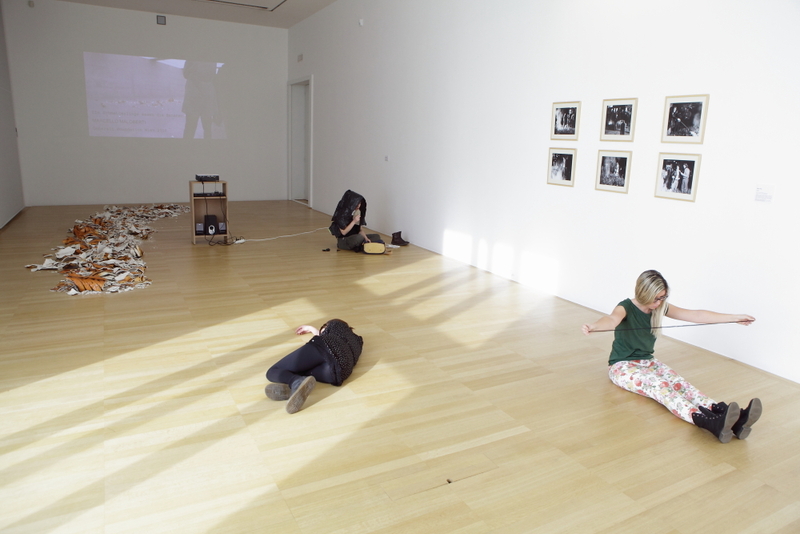 San Keller, San Keller Carries You Up to Art, 2002/2011, performance. 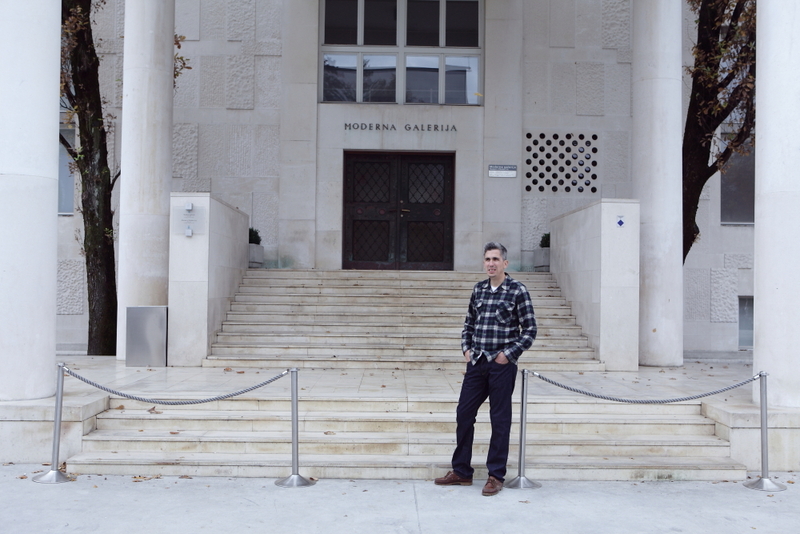 In front of the Museum of Modern Art Ljubljana, 4 and 5 November 2011. 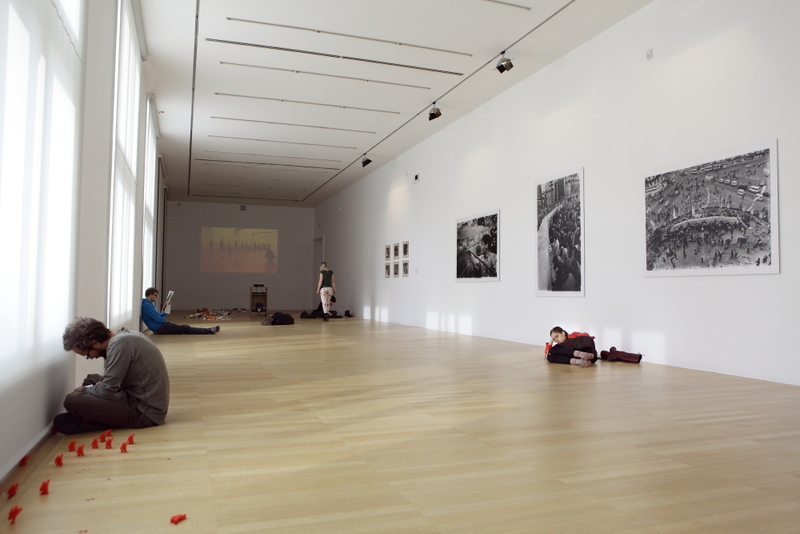 The Museum of Modern Art Ljubljana, 3 November 2011. In this performance Jaša assumed the character of the priest from the project STARDIM: To Whom It May Concern My Life Is Falling Apart. Friday, 4 November, 11 p.m.–7 p.m.; Saturday, 5 November, 10 a.m.–2:30 p.m. 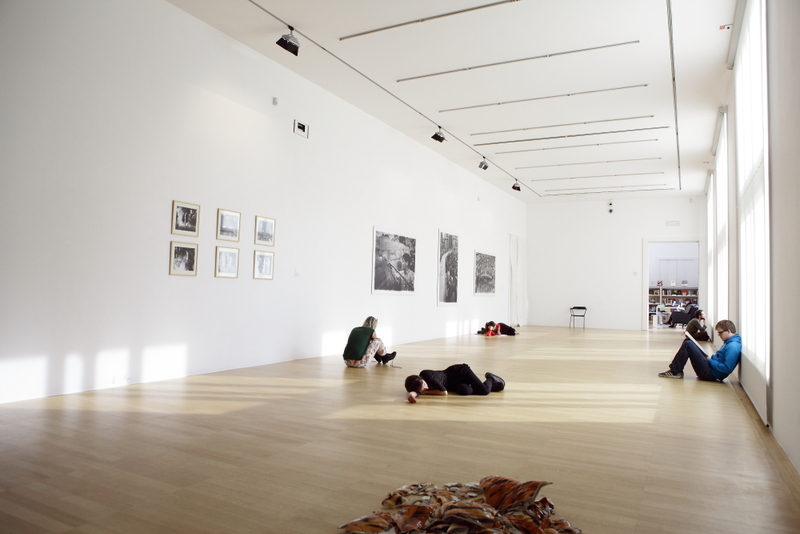 Location: Museum of Modern Art (Moderna galerija), Cankarjeva 15, Ljubljana; admission is free. 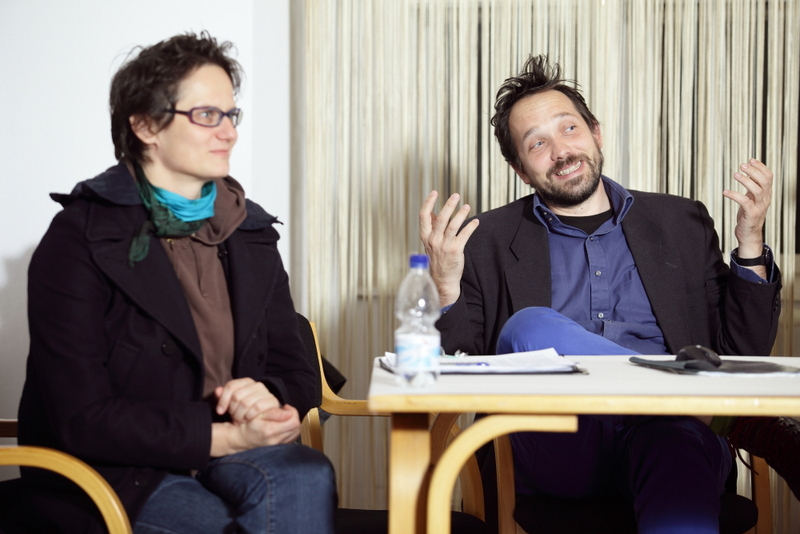 A varied cast of anthropologists, philosophers, historians, and art historians have been announced: Luisa Accati, Beatrice von Bismarck, Thomas Fillitz, Dario Gamboni, Werner Hanak-Lettner, Nathalie Heinich, Bojana Kunst, Henrietta L. Moore, Robert Pfaller, Renata Salecl, Roger Sansi-Roca. Abstracts of the lectures and speakers CVs.